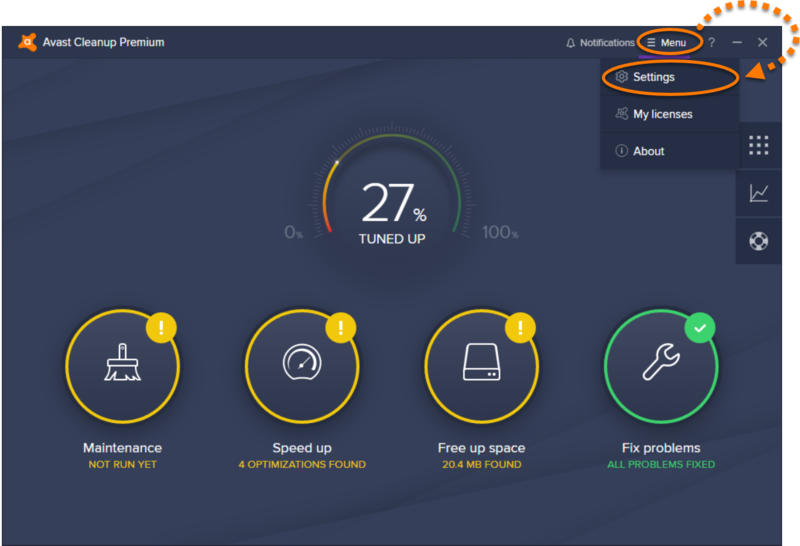 Double-click the Avast Cleanup Premium icon on your desktop to open the program. Click ☰ Menu ▸ Settings. 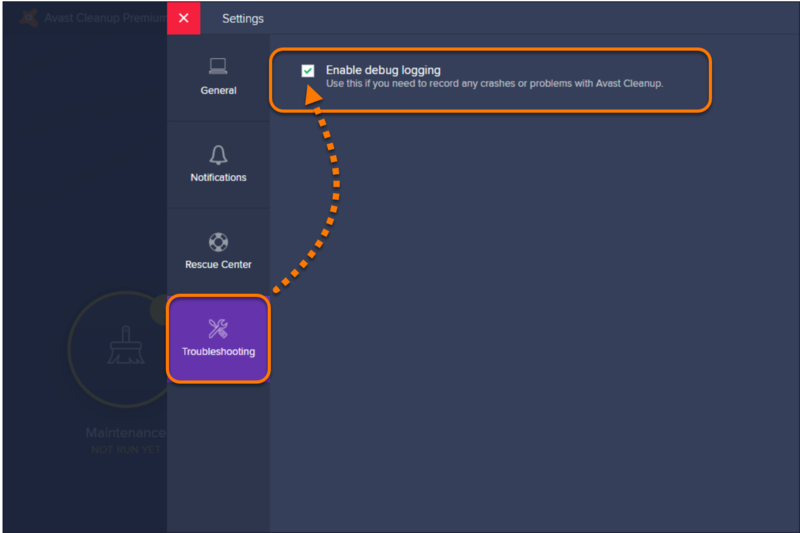 Click the Troubleshooting tab and ensure the box next to Enable debug logging is ticked.